Wally’s Answer: The Cancel_State_in_Completed_IRP error can appear at unexpected times and cause a lot of confusion for the user. Blue screen errors like this are considered difficult to solve. Luckily, if you have the name of this error, you should be able to find plenty of help on how to fix it. The Cancel_State_in_Completed_IRP or STOP 0×00000048 error appears and the computer restarts. The Cancel_State_in_Completed_IRP error can appear when a driver has performed an incorrect operation. This can also occur when two drivers try to access IRP at the same time. Since this and many other blue screen errors occur due to driver issues, start the computer in safe mode. This is the first thing you should do when diagnosing the problem. Click here to learn more about safe mode. System restore helps you go back in time and reverse changes that caused a problem to occur. System restore can be started from Windows and from a bootable Windows installation DVD/USB. 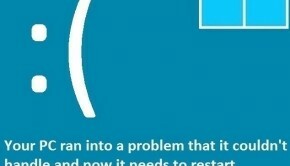 Click here to learn more about system restore. Updating obsolete drivers helps fix blue screen errors like this by fixing bugs in the driver. Driver software that needs to be updated to fix this error is the chipsets and video drivers. You can update these drivers by going to the hardware vendor’s website and downloading the latest driver from there. Make sure to download the correct driver for your version of Windows. Install the drivers one-by-one. Don’t install two at once, and restart when prompted. If you don’t have experience updating device drivers, then use DriverDoc to download and install suitable drivers.